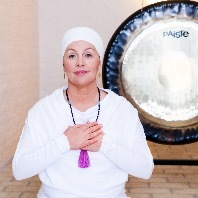 Kundalini Yoga Lead Trainer, actress and communication specialist. 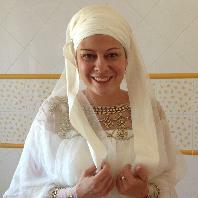 The first student of Yogi Bhajan in Greece (since 1996), devoted to the constant studying, practicing and teaching Kundalini Yoga. 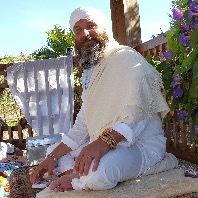 Brought Kundalini Yoga in Greece (1999) and co-founded "Guru Ram Das Ashram", the first Kundalini Yoga Center in Greece, blessed by Yogi Bhajan. -Lead Teacher’s Trainer Level 1 & 2 -Specialized in Pregnancy Yoga and Children’s Yoga. -“Spiritual Fitness" private consultation method developer. -Healer of the "Healing Hands" technique -Developer of the "Spiritual Theatre" project (assignment given to her personally by Yogi Bhajan). Honored by the International Kundalini Yoga Teacher Association (IKYTA) with the “IKYTA TEACHER RECOGNITION” for her contribution to the diffusion of Kundalini Yoga in Greece and the conservation of the integrity of the teachings. Teaches in Greece and internationally, in English, Italian, Greek. Associate Trainer. Specialised on Mantra and Shabd Guru. Musician. Backround in Business. Sat Naam. Home is in Singapore since 1999 and previously Thailand for 4 years. Born in France, specializing in Asian studies (Studied Mandarin, Thai and Burmese). Started professional life in associative projects between Europe and Asia. Followed by 10 years of corporate life mainly in career management (French Chamber of Commerce and American Association in Singapore). Started teaching Kundalini Yoga in 2003. Created company Innerkeys in 2005. Trained in Thai, Chinese acupressure and Ayurvedic massage. 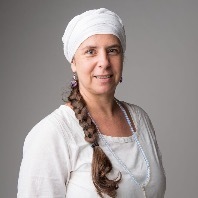 Certified Bodytalk system practitioner with a specialisation in kundalini energy management. Participating in regional level 1 teacher training programs in Singapore, Malaysia and Thailand. Operating between Singapore, Thailand and France. Trained in Yin Yoga and Laughter yoga. Studying Tibetan medicine and involved in the spiritual practices of Tibetan doctors and healers. Having grown up in New Mexico, I have been teaching and living in Singapore and Malaysia for the past 9 years since my marriage in 2001. 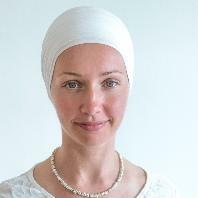 I love teaching women, children, and youth the teachings of Yogi Bhajan. The teacher training here has opened up so many exciting opportunities for the locals and internationals people in these countries. There are almost 50 teachers now! 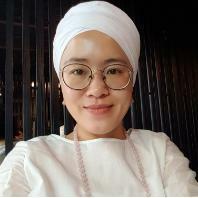 I am part owner and operate Chayo Studio in Petaling Jaya, Malaysia: a center dedicated to the teachings of Yogi Bhajan. We offer courses, workshops, retreats and level 1 teacher training. 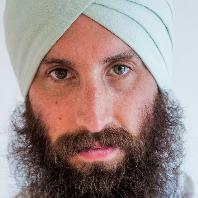 Soon we will also have level 2 training (Conscious Communication) with Sunder Singh. We love having teachers visit and share, and reaching the yoga community. Sikhs and Sikh youth have also been a focus and a passion for my husband Rajveer and myself (he is a provisional Professional Trainer).